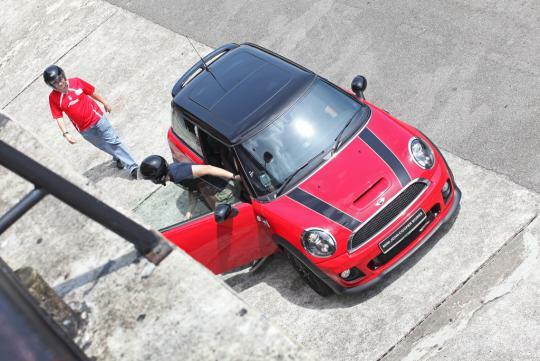 MINI recently held its Track Day at the Johor Circuit in Pasir Gudang to demonstrate the abilities of some of the hottest models in its range. 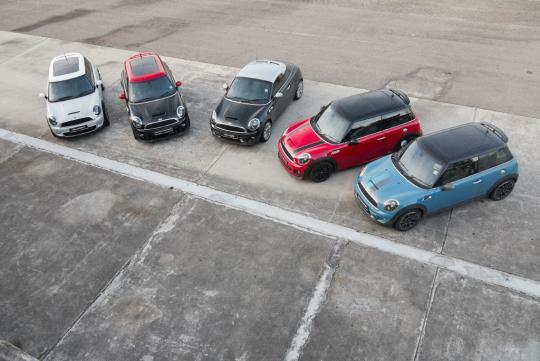 The event featured cars such as the Cooper S, Cooper S Coupe, Cooper S Bayswater as well as the star of the event, the John Cooper Works Hatch. 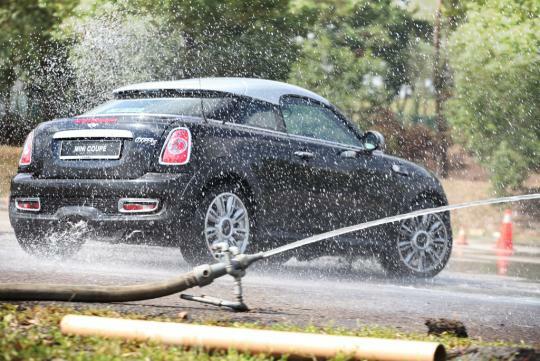 Participants were assigned to groups of five and we took turns to sample the cars in two segments - Skidpan and Track. 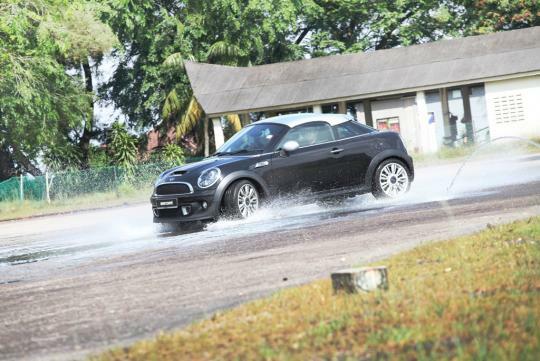 First up, we headed to the skidpan and joined up with the Cooper S Coupe and Bayswater to try out three different activities. 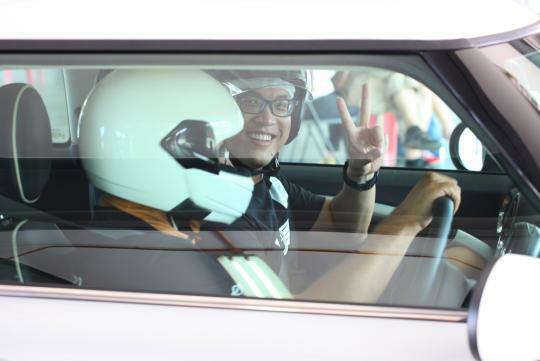 These activities were primarily designed to showcase the safety and stability of the cars and in order to do so, electronics on the cars, such as Anti-lock Braking System (ABS) and Electronic Stability Control (ESC) were switched off. 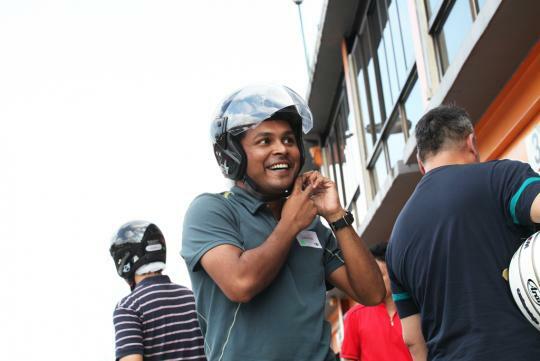 The first activity was the 360 degree spin where we got a better understanding of how the Anti-lock Braking System (ABS) works. 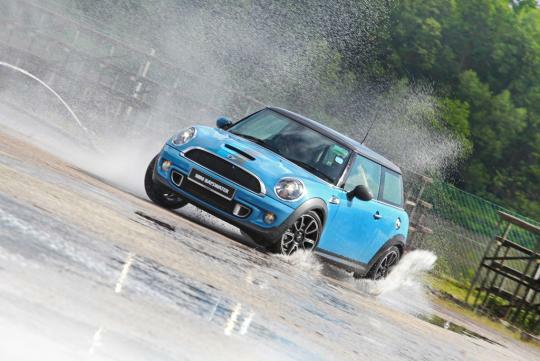 Jamming the brakes on a slippery surface (with ABS off) will put the car into a 'merry-go-round'. Then, we switched the ABS on and tried slamming the brakes again. The car stops normally like it should. ABS's effectiveness. Check. Next, we had a go at being stunt drivers, first with the J-Turn and lastly, the Handbrake Turn. Well, you should have seen this in James Bond movies or in The Fast and The Furious series. The J-Turn is used to flick a reverse-moving car around while moving in the same direction. Three easy steps - 'Reverse, Lift off throttle, Flick'. J-Turn. Check. The last activity was the Handbrake Turn. This technique is used if you need to change the vehicle's direction of travel very quickly. Turning the vehicle in the direction intended and then pulling the handbrake will cause the rear end to swing out. Handbrake Turn. Check. On a side note, please don't try these activities without professional guidance. With our helmets on, it was time to hit the track. 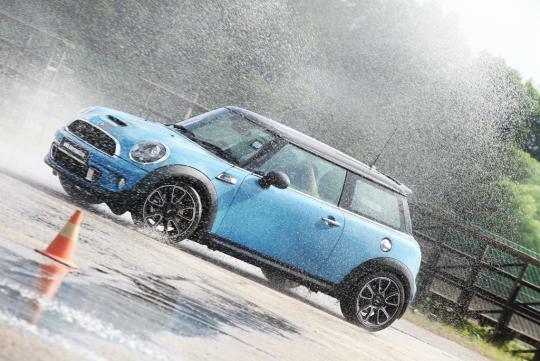 We had a go with the Cooper S first. This car was awesome on tracks and screamed for more everytime we eased off turns. Next up, the JCW Hatch. Blazing down the straights and engaging turns like race car drivers, we felt that this hell of a hatch was made for the tracks. 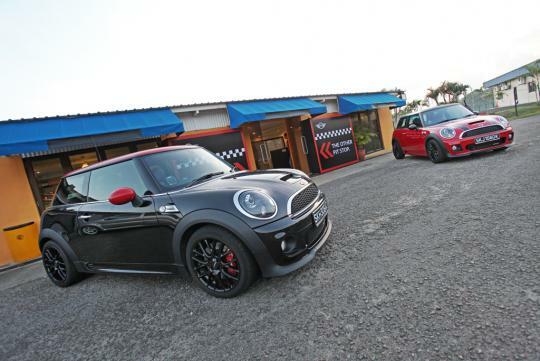 At the end of the day, participants were awarded with some goodies from MINI and a plaque for joining the Big Boys� Club.